Over the weekend we always love having a little project to keep us busy, especially in the afternoon while the baby naps. This weekend we decided to make snowman thank you cards (and treats) to take to the kid's teachers at church. 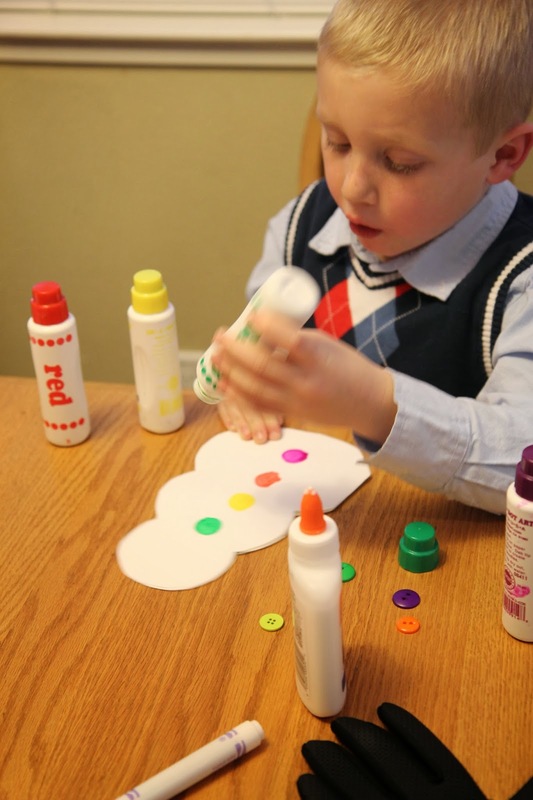 This was a super easy craft and my 3-year-old had so much fun putting dot paint buttons on the snowmen. She also loved sorting through the buttons and selecting her favorites for the eyes. You could really use anything you have around the house to make these cards. 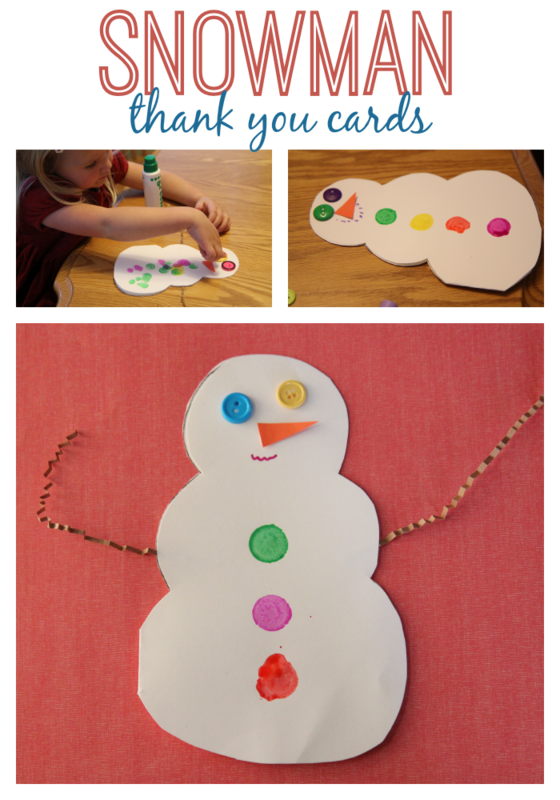 To start out this activity you need to pre-cut several pieces of cardstock into snowman thank you cards. You do this by folding a piece of paper in half and drawing a snowman on the front half of a piece of paper. Then cut out the snowman, leaving part of the bottom of the snowman attached to the backside of the paper so that you end up with a snowman shaped card that opens and closes. I am terrible at explaining things lately... so if you need a visual, you can kind of tell what I mean in the photo below. Once the card is cut out, add button with dot markers, button eyes, paper carrot noses, and we stuck the basket filler on as arms. My kids thought the flappy paper arms were the best part of this snowman. 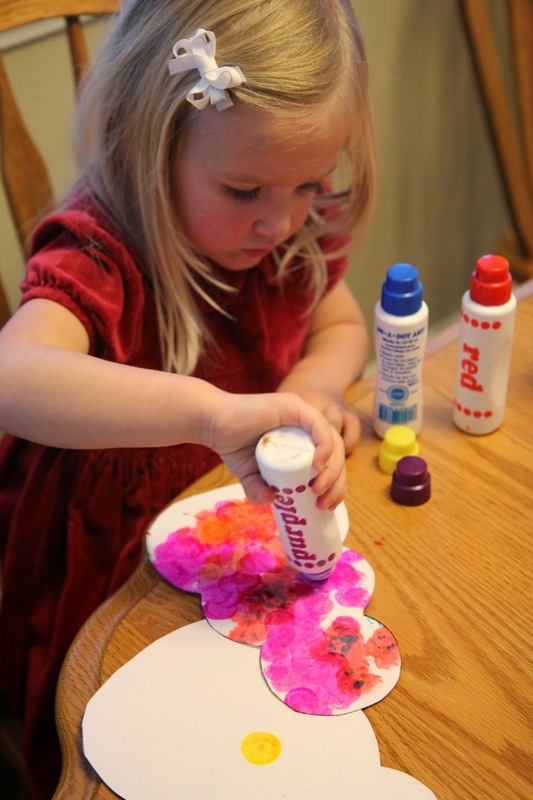 Since with this project you can use whatever materials you have on hand, it works well for multi-age groups. My almost 6-year-old and 3-year-old both enjoyed this activity. Once our cards were done we let them dry and then we wrote notes inside of them and attached them to plates of cookies. We then spent the evening delivering treats to teachers with our cute snowman thank you cards on top. It is always awesome to find a way to brighten someone else's day with a project we've made. 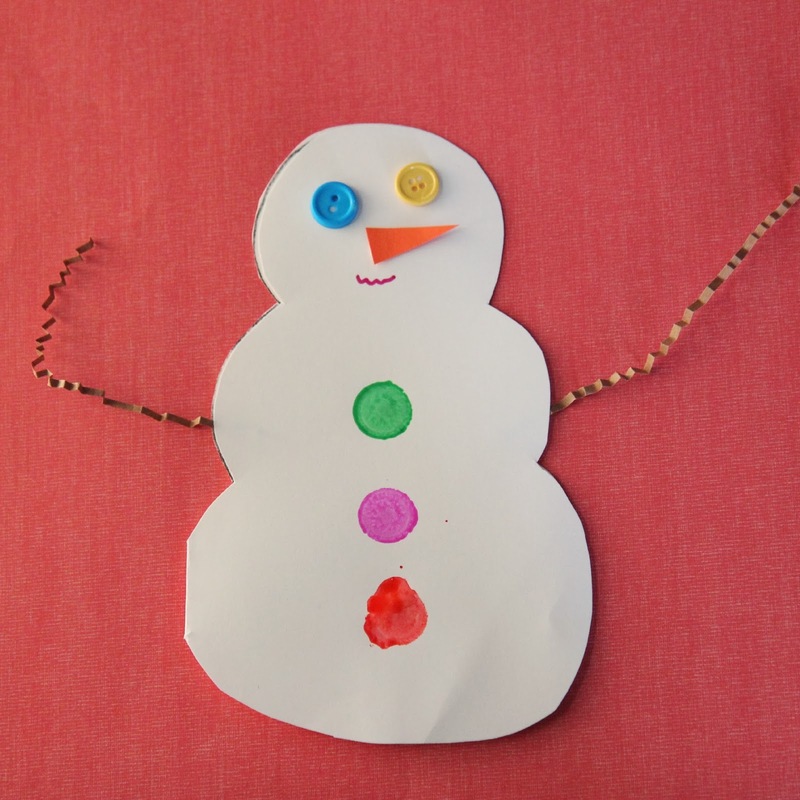 Do you have any other favorite snowman crafts or activities?